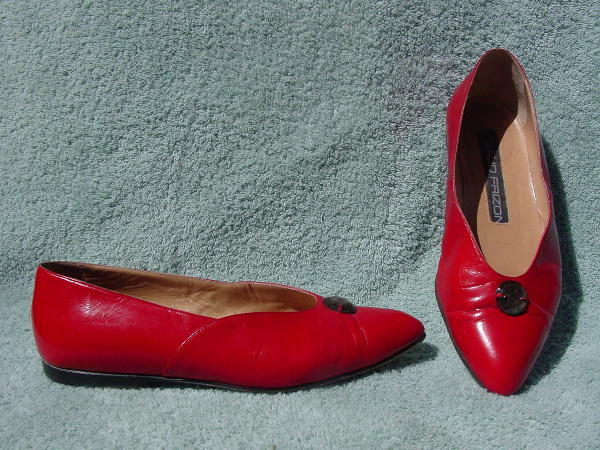 These vintage red leather flats have modified pointed toes. They have an amber-peach color faux gemstone on the vamp area. The vamp area also has some wrinkles. There are leather soles and the heels have heel guards.